Thanks to Joow, Hime, Ben-J, Kapi, Didi3R for beta testing. Thanks to Joow for the screenshots. Beatmania (J) intro is now working !!! 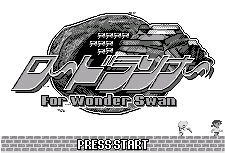 WonderSnake (PD) password entry is now working !!! Memories Off Festa (J) is now working in WS mode !!! 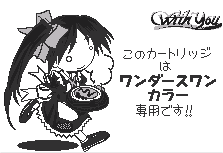 You are not only interested by WonderSwan ? You also like japanese, mangas and maybe sentai ? The web site of these cool FRENCH superheroes !! !